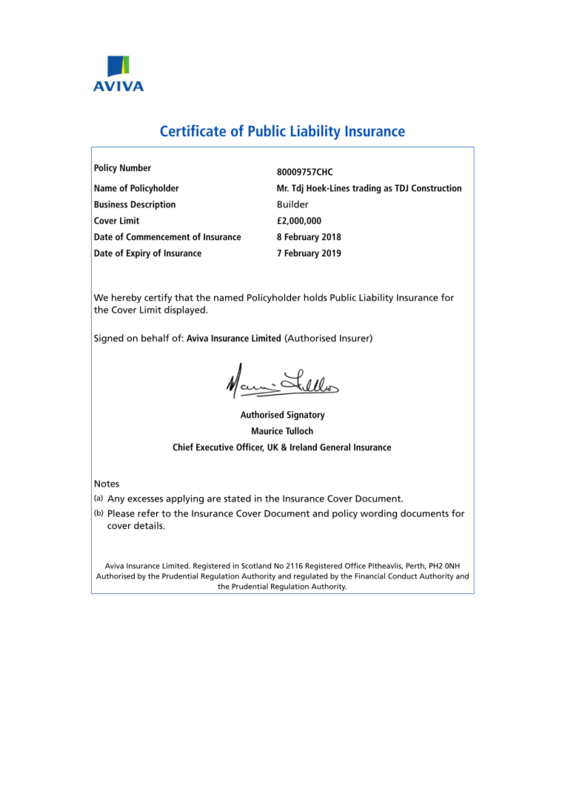 TDJ Construction holds all the appropriate licences and insurance. Please feel free to take a look at our documents below. 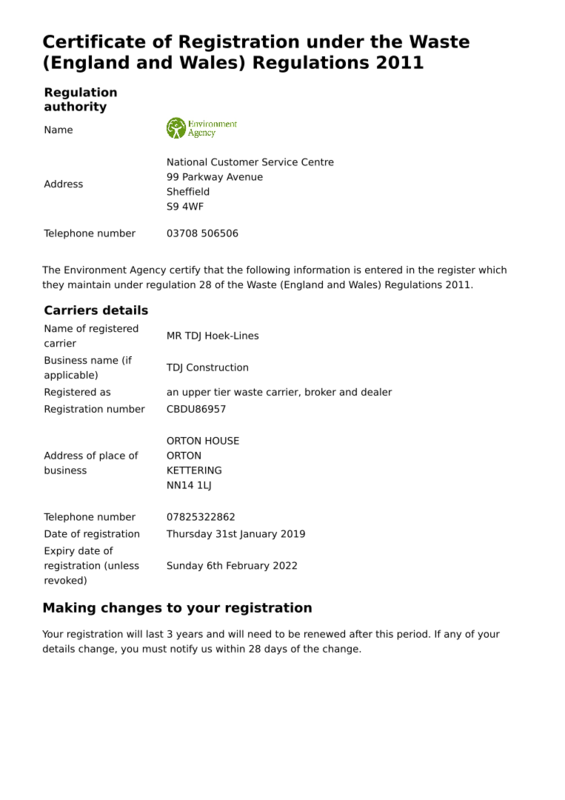 You can also download the documents to view on your device. The links will open in another window and will require a PDF reader (which is built into most browsers) in order to view them. If you don’t have a PDF reader installed you download one from here.